Mrs. Viola Hulda Seaman Gruber, age 97 of Woodlawn Drive, Toccoa passed away Thursday, January 24, 2019 at her residence. A daughter of the late Ransom and Rose Hamner Seaman, she was born December 27, 1921in New York having lived in Toccoa for the last 29 years. She was a retired Occupational Therapy Aide and was a member of First Alliance Church of Toccoa. In addition to her parents, she was preceded in death by her husband, Raymond Gruber in 1995 and by a number of brothers and sisters. Survivors include two daughters and son-in-law, Carolyn Louise Wise of Rome, New York and Charlotte Ruth Franco and husband Paul of Tampa, Florida; son and daughter-in-law, Philip Raymond Gruber and wife Carol of Toccoa; eleven grandchildren and twenty-three great-grandchildren. Funeral services will be Monday, January 28, 2019, 2 O’clock p.m. in the Hillcrest Chapel of the Acree-Davis Funeral Home with The Reverend Paul Franco, The Reverend Jim Hemminger and The Reverend Jim Harp officiating. The following gentlemen will serve as pallbearers, Bob Canberg, Christopher Canberg, Carl Chapman, Joshua Gruber, Keith Smith and Bill Silvernail. The family will receive friends at the Acree-Davis Funeral Home on Monday, 12:30 p.m. until 1:45 p.m. Online condolences can be left for the family at www.acree-davisfh.com. 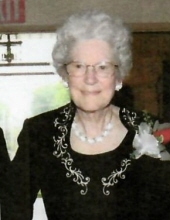 In lieu of flowers, gifts may be given to Great Commission Fund of the Christian and Missionary Alliance, 8595 Explorer Drive, Colorado Springs, Colorado 80920 or Delta Lake Conference Center, 6420 Pillmore Drive, Rome, New York 13440 in memory of Mrs. Viola Gruber. Interment will follow in the Toccoa City Cemetery with The Reverend Ray Waterman and The Reverend Carl Chapman officiating. Acree-Davis Funeral Home is in charge of the arrangements for Mrs. Viola Gruber. To send flowers or a remembrance gift to the family of Viola Hulda Seaman Gruber, please visit our Tribute Store. "Email Address" would like to share the life celebration of Viola Hulda Seaman Gruber. Click on the "link" to go to share a favorite memory or leave a condolence message for the family.